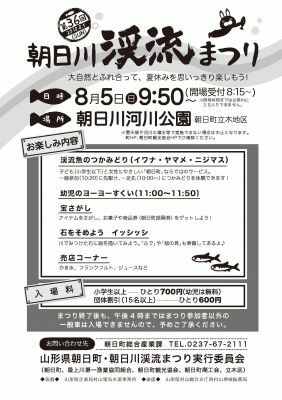 There is fun Events such as mountain stream fish notsukamidorino et al., treasure hunt, too. We prepare for incineration ground in venue. We grill fish which we caught and can eat. ※When we cannot carry out by flooding of bad weather and river, it is called off. Admission is necessary to enter venue. ※We enter in venue until the opening time (8:15) and cannot do it. General car except festival participant cannot enter. 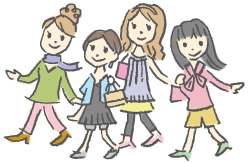 ※Admission is necessary tsukamidoriosuru without being concerned to bend to enter venue.